The special callsigns AO1EU, AO2EU, AO3EU, AO4EU, AO5EU, AO6EU, AO7EU, AO8EU and AO9EU will be active, 1-20 May 2010, on the occasion of the event on the 9th of May 1950, date in which Robert Schuman presented his proposal on the creation of an organized Europe, peaceful and solidary, that, in addition, this year coincides with the Spanish Presidency-in-turn of the EU. 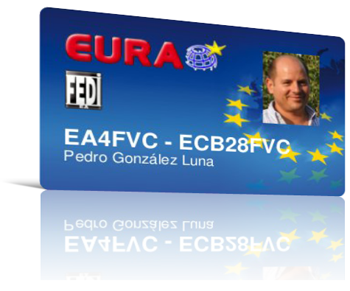 Hereby, the EA Digital Federation, member of European Radio Amateurs' Organization (EURAO), wants to promote this common space where living together called Europe. The contact is also valid for the Radio Clubs of the World Award, EANET. We, radio amateurs, linked through the waves, that do not know about borders, nor prejudices of any kind, are in a privileged position to share and promote cultural exchange between citizens of different countries. Let's take advantage of this opportunity to announce this Europe, teenager and still under construction, despite being the Old Continent, of which Spain is part, as many others, for almost 25 years. During the 20 days the activation will last, they will be on the air using the different bands and modes more usual (phony, CW, digital, etc.). A good way to locate them is through DX Cluster and/or also consulting the agenda of the activity. Warning: Don't try to send your QSLs via IARU bureaus classic system, they will never get us because its member society in Spain (URE) throw away them.